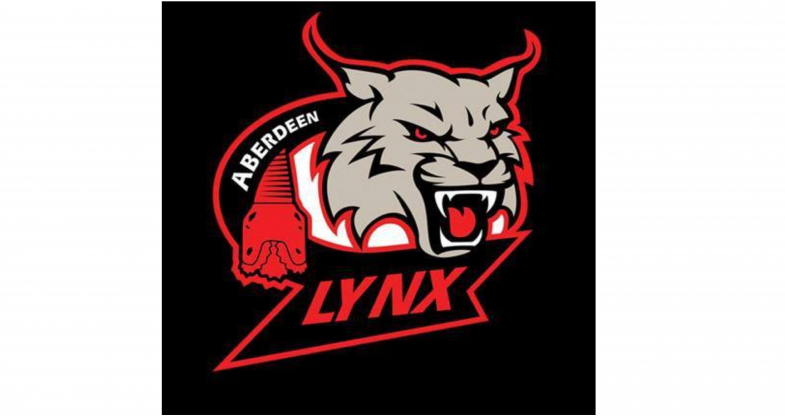 The Lynx Ice Arena played host to the Aberdeen Lynx Ice Hockey match against the North Ayr Wild on Saturday 30th September. Team Challenge Company was delighted to host an exclusive group of guests for the big match. Our team was proud to offer the group of professionals and their families the opportunity to experience what Aberdeen Lynx is all about – competition, skill, fun, hospitality and a great deal of on and off ice excitement! Let’s Go – Lynx - Let’s Go! We were delighted with the excellent turnout of guests and their families on the evening. One of the Lynx youngest fans, Lochlan James Gray, stayed up after his bedtime (well he is only 7 months old !) as he took time out from his busy schedule of being head of the household along with his proud parents Patricia and David to cheer the home team along. 8 great goals resultedin a well deserved win for Team Lynx and the Gray family seized the opportunity to take a photo with the winners.Lochlan's parents looked delighted to show him off in his new Lynx supporters outfit - his wee reward for all his supporting efforts - especially for staying awake. Mind you with all the goals scored on the night ... it was NOISY ! It was a pleasure for Stephen and Richard to have the opportunity to showcase what Aberdeen Lynx Ice Hockey is all about and we look forward to welcoming you back to future fixtures - you all brought good luck this time around! Thank you also to Martin, John, Sally and Aisling for continuing to take such great care of Team Challenge Company and their guests at Aberdeen Lynx, and of course the team and the coaches for providing yet another great evening of entertainment and sporting success for all your devoted fans. You should all be so proud of yourselves – we certainly are of you.